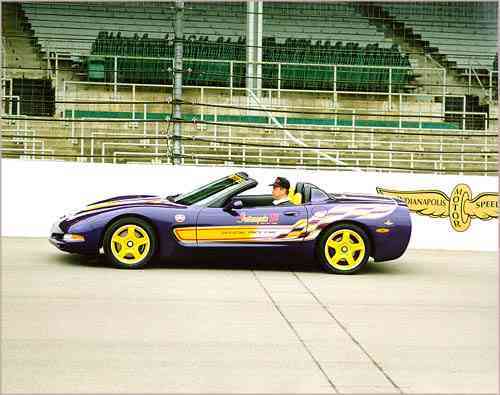 The all-new 1998 Chevrolet Corvette convertible will be leading the pack at next year's Indianapolis 500, the 11th time a Chevy has been selected for this honor. 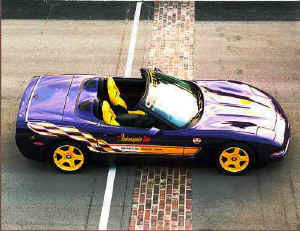 Driving the pace car will be none other than golfing's Greg "The Shark" Norman (and Chevrolet spokesperson). Those announcements were made today at the Specialty Equipment Market Association (SEMA) annual meeting in Las Vegas by Mary Hulman George of the Indianapolis Motor Speedway and Chevrolet general manager John Middlebrook.